Even though the audiobook was something like 35 hours long, when I got to the end, I didn't want this book to be over. On a seemingly ordinary October day in the small town of Chester's Mill, Maine, an invisible dome drops down, cutting off the town from the rest of the world. This is particularly bad news for anyone operating aircraft or motor vehicles in the direction of the unseen barrier. Just before the dome drops down, Dale Barbara, an army veteran and short-order cook, is hitch-hiking to get out of the town, after having gotten into a brawl with some local young men with an overload of testosterone and an underload of sense and intelligence. He almost makes it out, as a young woman driving a truck appears to slow down and consider giving the hitchhiker a ride before continuing along. If only she'd given him that ride. He would have escaped. Or perhaps the dome would have dropped right down on the truck, delayed because of the time it took to pick up Dale Barbara. 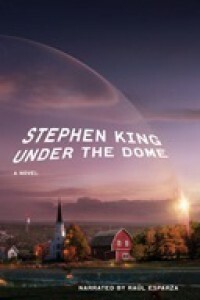 It is not long before "Big Jim" Rennie, a used car salesman and the town's Second Selectman*, begins scheming to use the dome to his advantage, to increase his own power and position. Although the town pharmacist Andy Sanders, as First Selectman, technically outranks Big Jim, in practice, what Big Jim wants is what happens. Strengthening Big Jim's power claims is the sudden, unexpected death of the police chief, Howard "Duke" Perkins, who discovers the hard way that pacemakers and the dome do not play well together. Big Jim wastes no time manipulating the townspeople and weaving an "Us" vs. "Them" narrative. Dale Barbara, aka "Barbie," is a convenient emblem of "them" when U.S. Colonel James Cox and President Obama decide that the former Captain Barbara has been reenlisted and promoted to Colonel. The president has declared martial law and placed Colonel Barbara in charge. But how are the officials outside of the impenetrable dome going to enforce that if Big Jim doesn't want to let someone else be in charge? 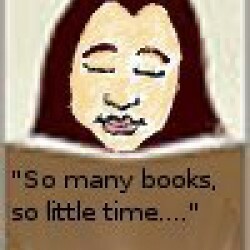 The book has a huge cast and a large scope, but manages them all quite well. It's been a day since I finished, and I am still contemplating the book's commentary on the psychology of groups--whether they are town populations, thuggish 20-something hooligans, or kids practicing mindless cruelty as their friends egg them on. It's an engaging plot-driven narrative that sneakily gets deep. Definition of selectman: one of a board of officials elected in towns of all New England states except Rhode Island to serve as the chief administrative authority of the town. First Known Use: 1635. See selectman defined for kids.